Why hello! You may have noticed that things are looking different around here. It was just time for a change! (1) Moving to Europe alone at the age of eighteen was my best decision, but also my bravest one! It took a lot of courage to get here, and I thought the name would be a nice reminder of where I come from and where I am going. Exploring the world requires a bit of bravery you know! (2) My family is quiet large (10 kids!) and we like to call ourselves "the tribe." 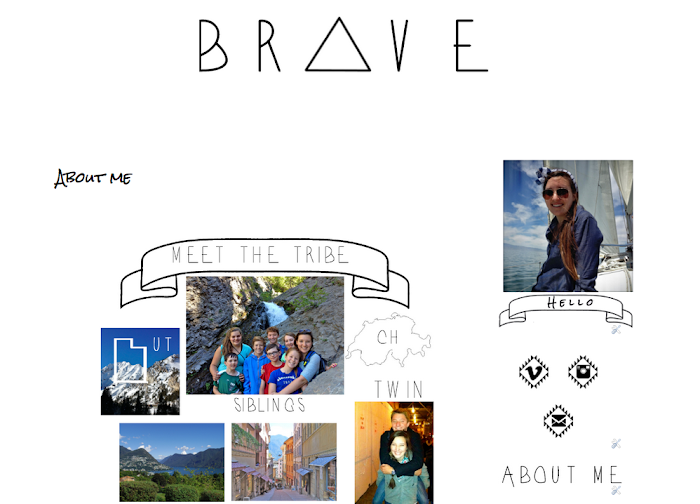 The new name of my blog is a tribute to my "tribal" heritage, in the sense that the word "brave" can also refer to a native american warrior. Perhaps a small tour is in order! Click on THE LIST tab if you want to read about some of my life goals, there are plenty of places in the world that I would love to travel to, but it is less about the destination and checking that country off some list than it is about the incredible experiences you can have across the globe. So be sure to click on this page and read about some of the adventurous experiences I want to take part in over my lifetime! Click on ABOUT ME if you want to know more about me.. was that explanation really necessary? Probably not, oh well, on we go with the tour! 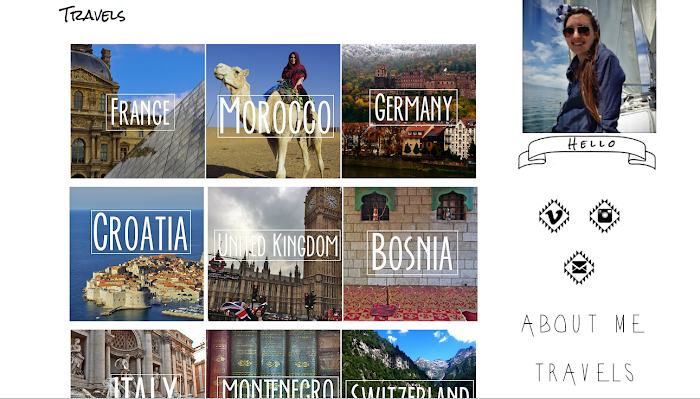 Click on TRAVELS if you want to see a quick snapshot of where I have been! 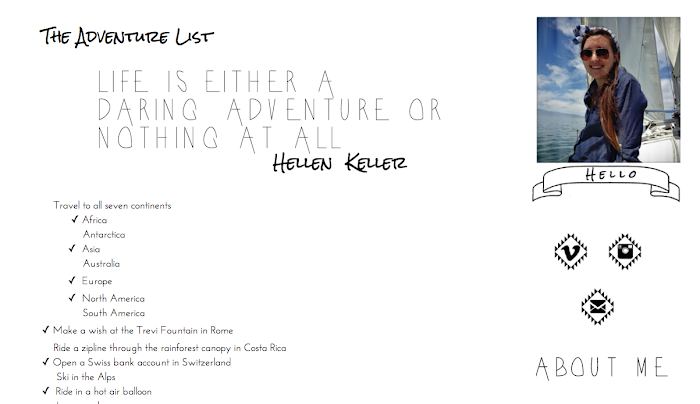 Then click on each box to read more about my adventures in that country! Click on "Swiss Life" for posts all about living in Switzerland! It is more than just cheese, chocolate, and mountains.. although all those things are pretty great as well! Finally, leave me a comment! If you have some feedback, I'd love to hear it. Like I said though, I am still adding to the design, so thank you for your patience! And thanks for reading along! i love this, jessica! that new logo is great and i think the new design is so good! you are living the life! i am a senior in high school right now and i had not really considered franklin college until i saw your blog. i am from barcelona but my mom is italian. i have traveled around europe a lot, with family and with friends alone, and i go to the alps every year. franklin college would be the most amazing way to spend four years in a familiar, loved landscape, speaking italian and eating italian food, visiting my grandparents (they live in northern italy and i actually know a lot of people from there who work in lugano) and lowcost flights to spain for fun weekends with friends. Thank you so much for your comment! I am still tweaking the design, but really love it so far! I love the new name, and i think it suits you. 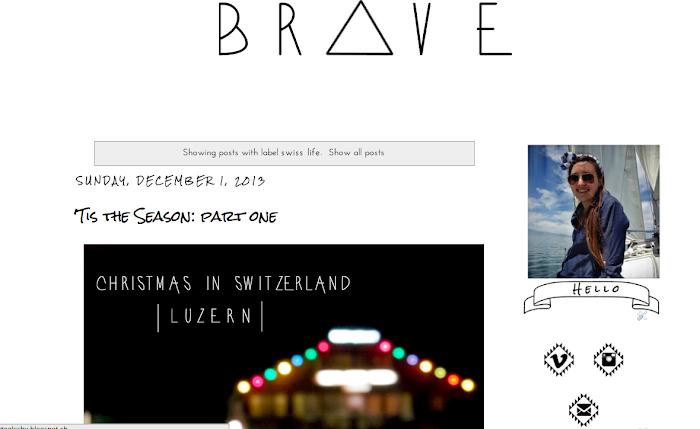 i'm new to your stories, but i've been scrolling back your posts and i can see that 'Brave' is here. While I understand that 5 children is definitely a large household, it is funny because whenever there are only 5 children at my house we all walk around saying to each other "where is everybody??" It seems so empty! haha I guess it is all a matter of perspective!